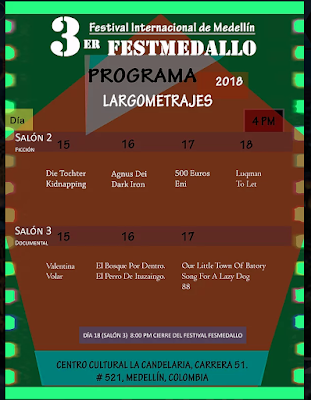 88 has been selected for competition at the Medellín International Film Festival (FestMedallo). The movie will be screened on Saturday, February 17th, 4:00 PM at Centro Cultural La Candelaria, Medellín, Colombia. Special thanks to everyone who helped and contributed to making this movie a success! The 88ARTPROJECT aims to show associations between the Shikoku, Japan 88 Temples pilgrimage and art, with a contemporary perspective.